I think many were using the “El Nino” description for last summer’s warm water cycle for lack of any other descriptive term, even though it didn’t fit the definition of a true El Nino. It’s like calling a yellowtail a tuna: Looks kind of like a tuna and you can catch them on offshore tuna trips and many outside of the fishing community call them tuna, even though we know they are not. A “true” El Nino is defined by warm Sea Surface Temperature (SST) anomalies near the Equator, specifically in the Nino 3.4 zone. Southern California/Baja California do not really enter into the equation when it comes to the true definition of El Nino! Yes, we often see the side effects of El Nino in our waters, but not always…and vice versa. I think you hit the nail on the head. While the Equatorial Nino zones were showing minimal positive anomalies, our local waters were MUCH warmer than normal. 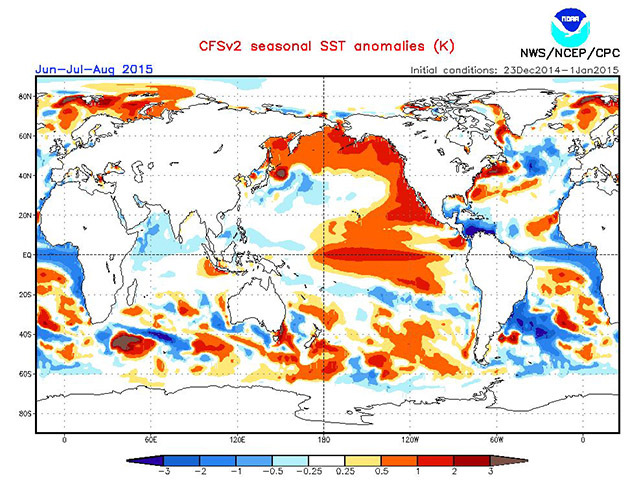 In fact, that warm anomaly extended all the way down to the Sea of Cortez. Certainly, last year (and carrying over into the winter) was truly a warm water cycle like none of us had ever seen before. The closest “match” to what we experienced would be previous warm water cycles relating to El Ninos of the past: 1997-98 or 1982-83, for example. I remember tuna crabs (pelagic red crabs) being a harbinger of the 1982-83 El Nino. It could very well be that the current weak El Nino actually gives us a little push and keeps the water warm again this spring and summer. While we’re currently only seeing minor SST anomalies along the Equator, most models still predict SST anomalies that would support the classification of El Nino. Those conditions are predicted by the climate models to persist through spring 2015 and they support warmer than normal water along the California coast this summer. The above chart shows water along the west coast some 1°-2°C warmer than normal. That’s approximately 2°-5°F and if that forecast verifies (and we don’t see a significant series of storms with the resultant upwelling along the coast) we very well could be in for another warm water year in Southern California. 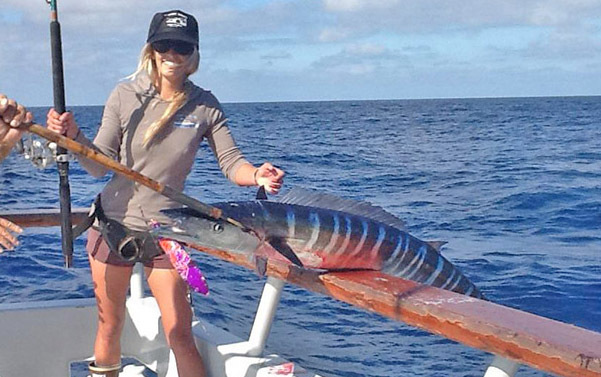 Could it be two years in a row that wahoo are caught on overnight trips out of San Diego? The trend over the next 5-6 months will be telling. Chris Dunn is an Emmy award-winning broadcaster and is now the Chief Meteorologist with Local 15 NBC News, WPMI Mobile, Alabama. His 20-plus-year television career has taken him to various television markets around the country, including stations in Denver, Philadelphia, Salt Lake City, Miami, Fort Myers, Florida, and Chico, California. Chris started fishing the waters off Southern California in the early 1980s when he could be found plucking barracuda, sand bass and bonito from local piers and half-day boats. Chris worked as a deckhand on several local boats in San Pedro and his hometown of Long Beach, eventually making his way onto the decks of the long-range fleet in San Diego in the mid-1980s. In addition to his interest in meteorology and sport fishing, Chris is an instrument-rated private pilot and recently earned a Master of Aeronautical Science degree from Embry-Riddle Aeronautical University. Many of you on BD know Chris for the fishing forecasts he posts. Known as The Fishing Weatherman, the posts don't just tell you if it's going to rain. Chris talks about water temps, current movements, wind patterns and the various pressure systems that effect the bite. 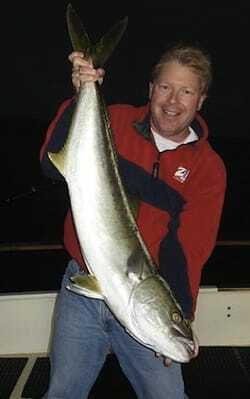 To see more of his fishing forecasts visit www.thefishingweatherman.com.